The Brooklyn star on stepping back into 1950s New York and how Colm Tóibín’s source novel affected her. Twenty-one-year-old Irish actress Saoirse Ronan is doing a suspiciously smooth job of transitioning from child stardom to chameleonic adult character actor. She fitted into Wes Anderson’s heightened universe for The Grand Budapest Hotel and shone as a war-stricken indie waif in How I Live Now. 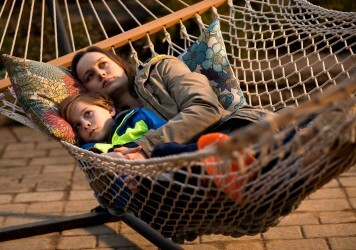 John Crowley’s Brooklyn is adapted by screenwriter Nick Hornby from Colm Tóibín’s 2009 novel about a young girl from smalltown Ireland forced to emigrate to America. It features Ronan’s best performance yet. She imbues her character, Eilis, with such rawness and vulnerability that even the most standard scenes in her new home in Brookyln seem like they could hurt her. 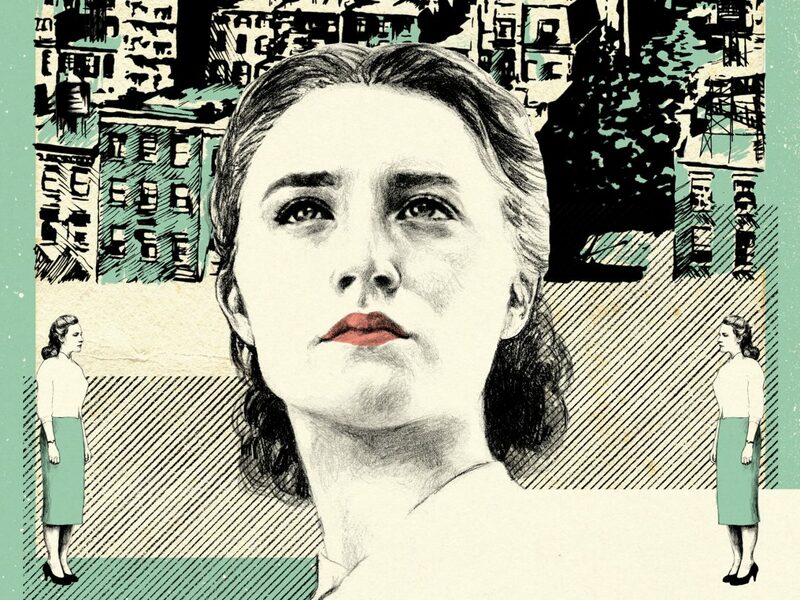 LWLies: Did you read Colm Tóibín’s source novel before making Brooklyn, or had you read it already? Ronan: I read it years ago and I really loved it at the time. The story took on a whole new meaning when it came to making the film. Between the period of when I had read the script and when we actually made the movie, I had moved over to London and had gone through that transition personally myself so it took on a much deeper meaning. Did it feel rewarding to have an artistic outlet for what you were going through? I guess it did. It took me a while to appreciate it because from the very beginning there was a huge responsibility on myself and John and everyone involved for us to make it authentic and tell an honest story. Not only of what a lot of Irish people have gone through but also to portray a woman on screen and have it be a detailed, layered, interesting character. Somebody who can carry us through a whole film without being someone who just moans all the time or is a bit of a pushover or is too harsh. To find that nuance was really important. I felt a huge responsibility in that respect. And this was the first Irish film about an Irish girl that I had been involved in, where we shot at home. We shot in Enniscorthy which is like 20 minutes away from where I grew up. I went into it thinking, ‘This is great, this’ll be a great job to do, and I’ll be at home,’ and thought about it in a much more simple way. Then all of a sudden, John opened this door to a whole other level of depth that I hadn’t even thought about. It was him getting women so well. Between him and Nick and Colm, these three great men really exposed all of us – all of the actors involved, men and women – to the questions that the story was really trying to raise. When she first arrives in Brooklyn, your character is too scared to let people know what’s going on for her. What advice would you give people who can’t be honest about how they feel? Even though it’s a tough situation to be in, there is also something really admirable about someone who just keeps going. I’m very open about how I feel and I think that comes down to my parents – I was always encouraged to be open about how I felt. I was spoken to like an equal, without us being peers. But I don’t know what advice I’d give to someone. It’s not a good idea to bottle those things up. Whenever I try to keep things under wraps I can’t and it’s physically kind of uncomfortable. You need to find someone that you can confide in. If you can’t do it, ride it out. Or talk out loud and say how you feel; even if there’s nobody there, just say, ‘This is how I’m feeling right now and I don’t know what to do… blah blah blah.’ It’s always good to vent in some way, whether it’s through music or art or whatever. Brooklyn is an emotional film but also a lot of detail and attention has been paid to rendering period settings, with clothes and locations. Were sets built? How did the production get the 1950s look? We had a great costume designer, Odile (Dicks-Mireaux), who stays very true to the period she works in, which was fantastic. We wore bras and stockings from that time period and, if the bras were too perky, we needed to take them down a little bit. She was so on it, and so tuned into the aesthetic of that time, and always wanted to make sure it was as authentic as possible. Our sets, most of them, were made. We used a little bit of CG but, apart from that, everything was actually hand-built. When we worked in Enniscorthy we dated back the street where the shop is at the very start and where the dance hall is. There were new shop fronts put on, or the shop fronts were painted and they put signs up. It was really nice in this day and age when everything is CG to within an inch of its life, to have something just be tactile and real. It definitely sets the atmosphere an awful lot more. Did Colm help with the making of the film? Well, he came to visit us a couple of times and he was actually an extra in the immigration scene. He was a gas. We had him for the day and he had his little outfit and his cap on, and he took it very seriously. He knew what hand to have his prop in and where he had to walk to, and when he had to stop and who he was talking to in the scene and all that. It was great to have him involved. I haven’t watched it so I don’t know, but I’d be interested to know if you can see him in the background. 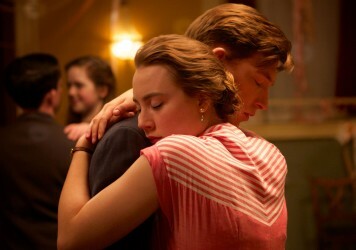 Brooklyn is out on Blu-ray and DVD now courtesy of Lionsgate Home Entertainment. Saoirse Ronan is in scintillating form in this lavish period drama from director John Crowley.